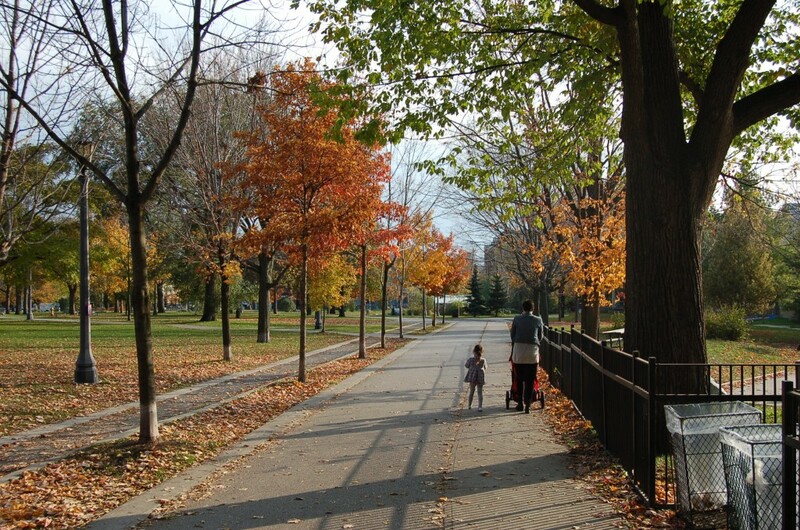 Trinity-Bellwoods Park is one of Toronto’s most beloved and heavily used open spaces, accommodating thousands of daily visitors in all seasons. With St. Hilda’s Walk, BROWN+STOREY with City of Toronto Parks and community stakeholders to convert the former ‘Trinity Drive’ park roadway into a set of parallel paths that accommodate many modes and speeds of travel through the park simultaneously. 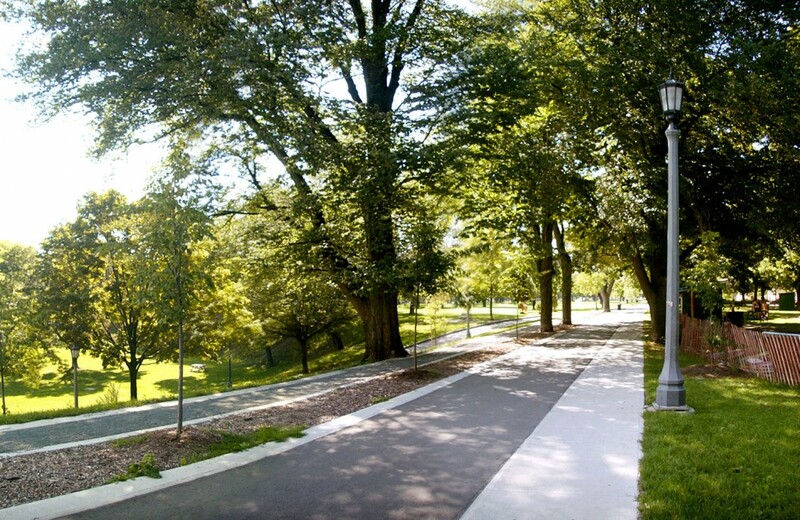 As a “braided path”, the walk provides space for the different speeds of a full range of users – park service vehicles, pedestrians, cyclists, roller-bladers, joggers and dog-walkers – by providing a series of pavement bands that both delineate their best uses while providing a flexible spread space during the park’s busiest periods. 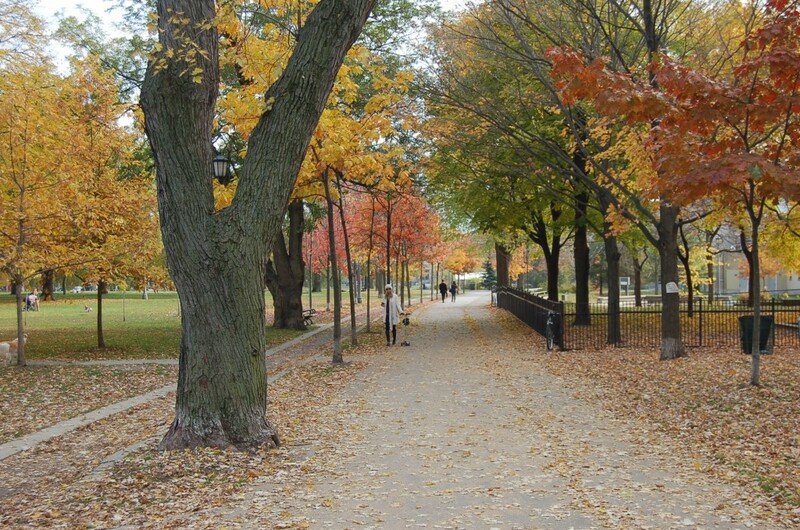 An 8’-0” band of asphalt gives a minimum width for occasional use by park service vehicles and for fast-moving cyclists in both directions, while the bordering concrete walk provides a slower pathway for families and pedestrians. On the other side of the asphalt is a broad concrete curb next to a planting bed set by an alignment of newly planted and existing large trees that provide a strong line of shade and definition for the pathways. Outside this band of trees, there is a third pathway, this one a softer surface of limestone fines for walking and jogging. St. Hilda’s Walk was developed and installed as part of the Garrison Creek Linkage Project, a program to reintegrate the course, ravine and waters of a former creek into the open spaces, urban design and community memory of West Toronto. 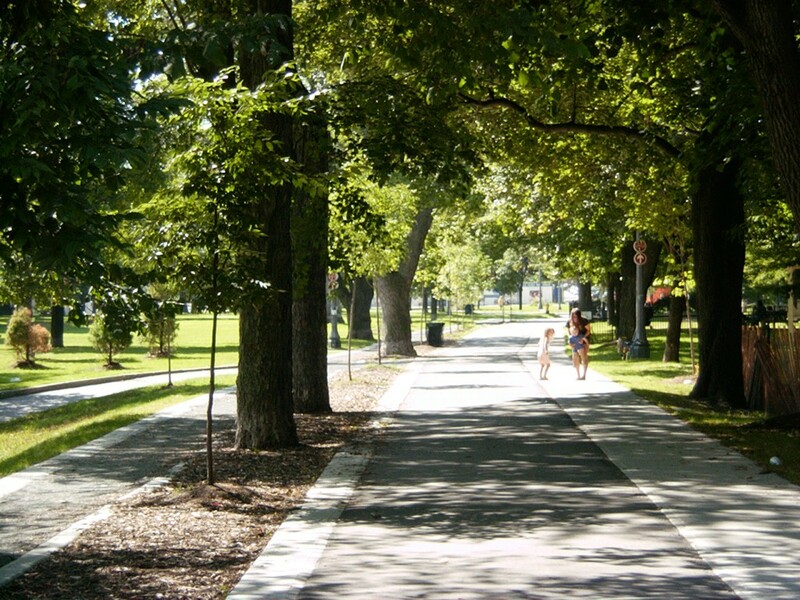 The Walk updates for the needs of present parkgoers a roadway that served the residences of Trinity College, whose grounds were repurposed as a municipal park after the college moved to the University of Toronto’s central campus in the 1920s.